Over 45 years of experience in every aspect of the engineering process including research and development, feasibility planning, policy formulation, design, construction and operations and maintenance. The primary focus of this experience has been in the water resources and maritime area. 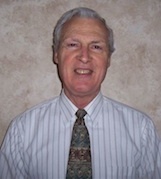 Former Program Director and Vice President of the Parsons Infrastructure and Technology Group - Specializing in water resource projects to include development of a desalination design for a new technology with an international design team and responsible for a worldwide marketing force with oversight of over $5 Billion of constructed value for port and water projects. Former Deputy Executive Director of Development for Port of Los Angeles - Responsible for 450 people providing engineering, construction, environmental and facility maintenance services for the largest, most profitable port in the U.S.
Former Congressional Liaison and Policy Coordinator for Corps of Engineers - Responsible for 18 states in the upper Mississippi River Basin as an Assistant Director of Civil Works.